“Getting the right business structure from the outset will result in substantial taxation savings and business efficiencies,” says Ivan Rizio, Partner at Banks Group. Ivan is a Partner with more than 35 years’ experience in providing taxation, accounting and business advice to SME’s and individuals. His experience with international and specialist firms ensures he has a vast array of practical knowledge to apply to many types of businesses. 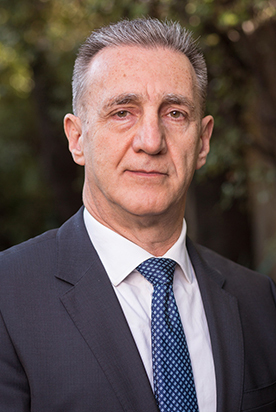 His key areas of expertise include; taxation planning, business structures and reorganisations, as well as capital gains tax concessions and asset protection. Committed to building close relationships with his clients, Ivan understands the values of trust and personal attention. He is dedicated to providing practical, workable and efficient solutions to assist his clients in developing profitable and growing businesses. Reflecting Banks Group’s community involvement, Ivan has an honorary role as adviser and treasurer of a not-for-profit organisation. A fitness fanatic, he is often seen on the cycle-paths of Melbourne or working out in his local gym.